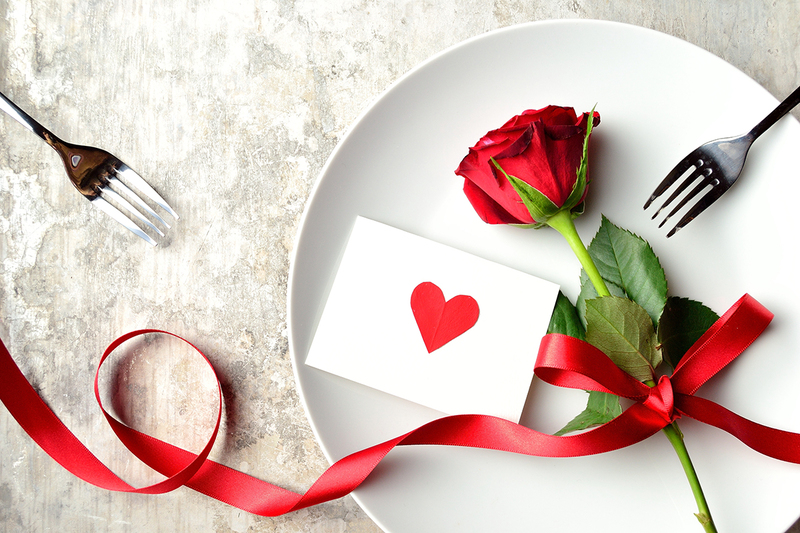 If you haven't made plans for Valentine's Day dinner with that special someone, Don't worry, whether you're looking for a budget option or something fancy we've got you covered with our Top 5 Romantic Restaurants for Valentine's Day Dinner 2017 picks. Let's start off with the most luxurious option, THIRTY8 Grand Hyatt KL which will take you back RM 808 nett per couple for that fancy dinner experience. 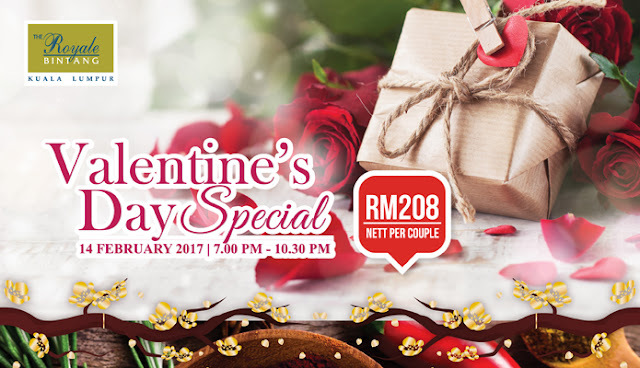 Make THIRTY8, Grand Hyatt Kuala Lumpur your preferred choice for a romantic evening date this Valentine's Day with a stunning view of Petronas Twin Towers and KL city skyline. 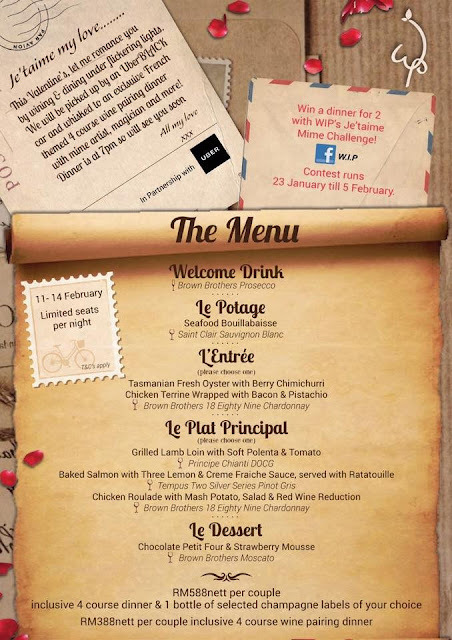 Skip the hotel reservation and bring your date out to WIP's special Valentine's Day Dinner and enjoy the romantic ambiance in Bangsar. 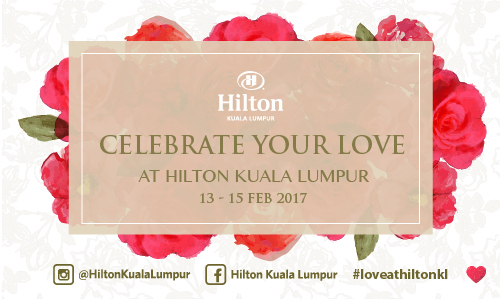 Elevate the romance at Graze Hilton KL which offers an ideal romantic setting for an intimate session. From a 3 course lunch to a 4 course dinner you will definitely impress your loved ones. If you work in the heart of KL and Don't want rush hour traffic to spoil your special evening plans. Here's something for you. 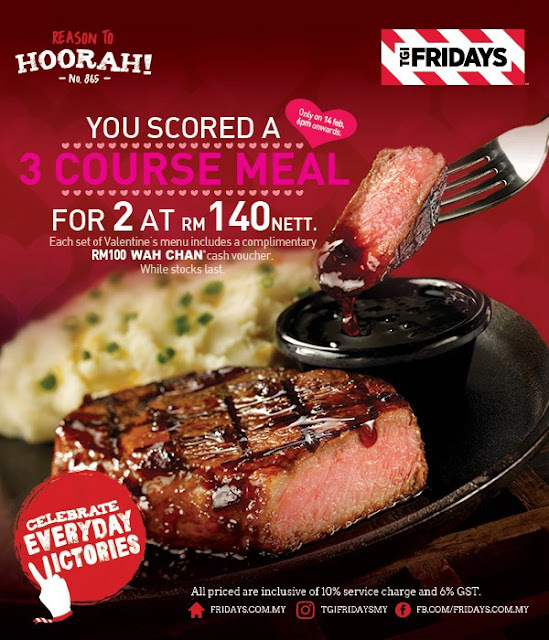 By now, most of the hotels or fancy restaurants might be fully booked but you still can enjoy a 3 course meal for 2 at RM 140 nett at your nearest TGI Fridays outlet. And the best part of it all is that, each set of the Valentine's menu includes a complimentary RM 100 Wah Chan cash voucher.